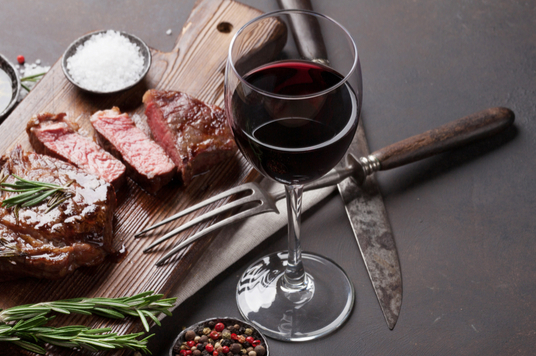 Red wine can have numerous health benefits. If we needed a good reason to buy that box of wine we have been eyeing all week, here are a few reasons and they are all beneficial. Your heart loves red wine. There have been numerous studies involving heart health and red wine with plenty of positive results. 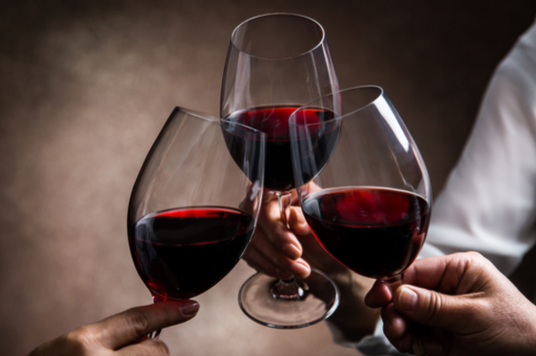 Red wine, when consumed in moderation, can help lower cholesterol levels and reduce our risk of cardiac mortality. Resveratrol, a compound found in grape skin, can help protect heart cells from tissue damage after a stroke, prevent plaque from building up on artery walls and decrease triglyceride and cholesterol accumulation. And Quercetin, a flavonoid in wine, can help regulate blood pressure levels, reduce inflammation and prevent oxidative stress. 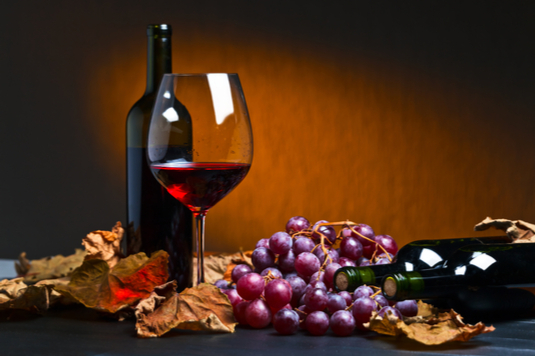 Red wine is high in antioxidants which are amazing because they fight damaging free radicals in our bodies. Accumulation of too many free radicals is a major factor in chronic conditions, autoimmune diseases which include Rheumatoid Arthritis, neurodegenerative diseases and cancers. Additionally, red wine can boost our immune systems which enable us to fight off colds, repair cell damage and even prevent the growth of tumors and an overactive inflammatory response which could trigger other major health concerns. For people with Type 2 Diabetes, managing their blood sugar levels is a daily activity, and anything that helps is always welcome. One study suggests that red wine slows down the absorption of glucose in the small intestine (and from there into the bloodstream) which can prevent the spike in blood sugar levels. Red wine won out by a landslide in this study over white wine, so if white is your go-to wine, you might need to weigh the benefits and reconsider. Dementia and Alzheimer’s diseases are major concerns for many people with brain fog and general cognitive health closely following. Red wine has shown to slow the progression of dementia and control the onset of Alzheimer’s in some people on the Mediterranean diet. Additionally, wine is brain food with the chemical compound working to prevent the brain’s neurons from dying off. A better functioning brain enables us to think clearly and process information better. The Mediterranean diet consists of red wine, fresh fruits and vegetables, legumes, fish and olive oil. This combination works well together and has many surprising health benefits from cognitive functions to longevity. Really makes us want to travel to the Mediterranean and sample the local cuisine in fine style. 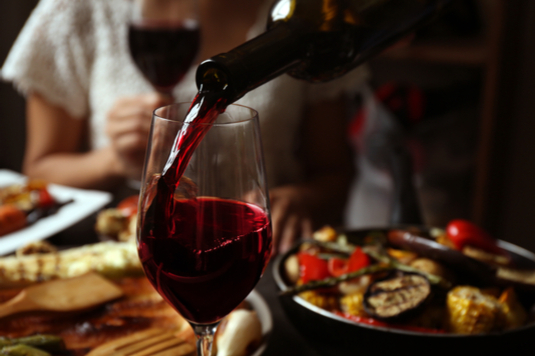 Red wine has been shown to be beneficial to both the heart and brain. It can reduce the risk of a stroke by naturally thinning the blood and preventing the buildup of clots. If a stroke does occur, the brain can protect itself due to higher enzyme levels and use the chemicals found in wine to repair any damage that may have been caused by the stroke. This is a win-win on both fronts. An overgrowth of blood vessels in the eye as we age is the primary cause for blindness in Americans aged 50 and up. Diabetic retinopathy and muscular degeneration are both caused by this overgrowth of vessels. In 2010, a study found that resveratrol (the wonderful ingredient found in red wine) can prevent vision loss by controlling and reducing the overgrowth of blood vessels. With further study, this could apply to several other diseases which affect vision. A glass of red wine may help reduce the risk of developing colon, breast, lung and prostate cancer as well as the growth of brain tumors. Excessive consumption of alcohol has been known to increase the risk of developing cancer, but studies are showing that moderate consumption of red wine can reduce the development of certain cancers. In breast cancer particularly, red wine reduces estrogen levels in women approaching menopause which discourages the growth of cancer cells. Men who drink red wine moderately (4-7 glasses a week) had half the chance of developing prostate cancer than men who don’t drink any red wine. Those in the study who drank one glass of red wine a week had a 6% less of a chance of developing prostate cancer than those who didn’t drink any. In 2013, a study in Spain that consisted of over 5,500 men and women aged 55-80 found that over the course of seven years, those who drank between two and seven glasses of red wine a week were less likely to receive an official diagnosis of depression than those who drank more or not at all. This includes other lifestyle factors being taken into consideration. That sounds pretty good to us. We all love to get some sun, but most of us don’t like getting sunburnt. Researchers have found that when the harmful UV rays of the sun hit us, they activate reactive oxygen species which then oxidize fats, DNA and other large molecules in our skin which then leads to the stimulation of enzymes which can harm skin cells and lead to sunburn. The flavonoids found in wine and grapes inhibit the formation of those reactive oxygen species which prevents the whole chain reaction from occurring. As we age our bones become brittle and more prone to breakage. Calcium is found in milk but if that isn’t your cup of tea, then reach for a glass of red wine. Red wine contains silicon which is excellent for your bones. It increases the mineral density and reduces the risk of developing osteoporosis. Additionally, it can help you doze off to sleep at night, allowing your body time to heal and repair itself. If seasonal allergies are your nemesis, then red wine might be your secret weapon. Researchers have suggested that the powerful antioxidants in red wine could be the key to reducing allergy and asthma symptoms. While more extensive research is needed to confirm these findings, it can’t hurt to do a little research on your own and have a glass of wine with dinner tonight.